SAN JOSE, CA–(Marketwired – February 07, 2017) – iXsystems, the industry leader instorage and servers driven by Open Source, today launched the FreeNAS Certified Flash storage array. This 2U all-flash array (AFA) scales from a handful of TBs to over 100TB in 2U of rack space. The FreeNAS Certified Flash has a unified SAN/NAS architecture, ensures data is protected with its OpenZFS file system, and provides enterprise-class storage features formerly only found with arrays multiples the cost. For years, small and mid-size business (SMB) customers have been denied the all-flash experience due to high costs. As others move to all-flash configurations, SMBs with smaller storage budgets have been priced out of the all-flash market. The FreeNAS Certified Flash changes that by lowering the cost barrier for all-flash storage. With FreeNAS, the world’s leading Open Source software-defined storage operating system, the FreeNAS Certified Flash system gives customers all-flash performance and helps them reduce the proliferation of dedicated storage arrays. 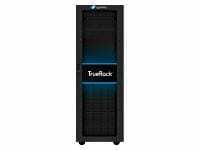 Its advanced features include thin provisioning, a self-healing file system, snapshots, compression/deduplication and replication. 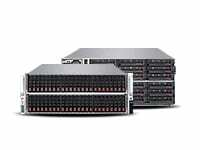 The FreeNAS Certified Flash system’s 26 SSD bays enable customers to deal with data growth, while its storage optimization technology allows customers to achieve storage consolidation ratios of 2.5X-10X in heterogeneous environments. 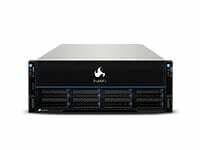 The flexible and unified architecture of the FreeNAS Certified Flash Array reduces deployment risks and support costs. 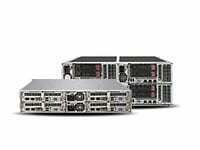 Its modern x86 hardware platform is designed for maximum throughput and IOPS while minimizing latency by eliminating the SAS expanders used in most competing all-flash arrays. With dual high-end Intel Xeon E5 processors and 128GB of RAM, no performance compromises were made along the way. 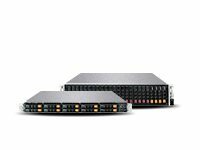 For capacities beyond 100TB of flash, or for customers that need professional support and high availability, the TrueNAS Z50 TrueFlash is the iXsystems Enterprise all-flash flagship array, which provides up to 400TB of flash. For capacities greater than 400TB, the flash-powered TrueNAS hybrid arrays are also available, which provide up to 5PB of storage. 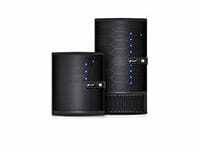 Using either the TrueNAS all-flash or the flash-powered hybrid, the TrueNAS web user interface gives users the same look, feel, and features as the FreeNAS Certified Flash storage array. 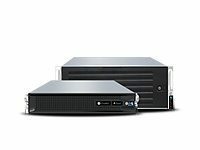 TrueNAS and FreeNAS systems are also mutually cross-compatible as replication or migration peers. This protects your investment and eliminates many of the data migration problems that occur when moving to a different storage platform. iXsystems makes it affordable to move to all-flash today without having to revisit your storage choice in the future.